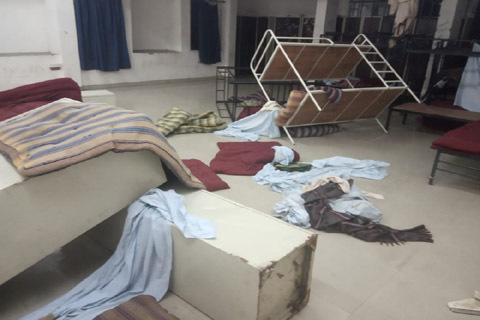 Around 34 Kashmiri students were attacked in university canteen by Maharashtrian students of the same university. Their hostel rooms were ransacked and window panes were smashed. Four of them were injured. Their lockers were broken and they were threatened for the consequences if they stayed in college.